Known as a reputed company, we supply and export a complete range of MS & SS Plates to our clients situated all over the world. Available in hot rolled (HR) and cold rolled (CR) varieties, these plates can be custom designed as per the specifications provided by the customers. Our skilled professionals fabricate these products using good quality raw material to meet growing market demands. 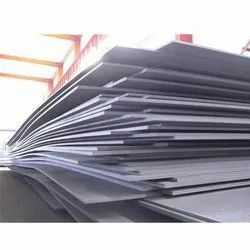 We are manufacturers & supplier of Stainless Steel Hot Rolled Plates which are widely demanded in the market. Our Hot Rolled Plates undergo various processes and stages so that the best end product is obtained. 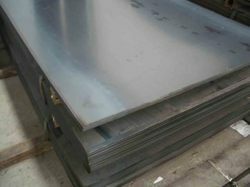 Hot rolled plate is produced by hot rolling a steel slab to form a plate. Typical thickness is between 8 to 200mm and maximum width is 5000 mm. The material is used in the shipbuilding, pressure equipment and construction industries. Our clients can avail hot rolled plates which is procured from reliable vendors in the market. We offer both "hard" / "soft" temper materials as per the requirements of our clients. We can easily source hr in pickled & oiled & un- pickled & dry form.